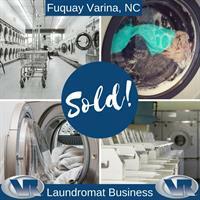 The owner of several Triangle businesses has sold a Fuquay Varina laundromat to a new buyer in the market. The laundromat is located at 722 N. Main Street. The buyer recently relocated from the North where he sold a laundromat to open several laundromats here in the Triangle and surrounding markets. VR Business Brokers is honored to connect these two business owners for a successful transaction!